Following their thrilling semi-final clash in Washington, France’s Richard Gasquet and Canadian youngster Vasek Pospisil will meet in the opening round of the Rogers Cup in Toronto. Pospisil’s victory in their Citi Open meeting led to the first ever all-Canadian final in Open Era history on the ATP World Tour. That is twice now that Pospisil had bested the Frenchman and now leads the head-to-head series 2-0. Can he maintain the streak in his home tournament? After losing his second match in Bogota to the oldest first-time main draw entrant in US Open history, Victor Estrella, former Top 10 competitor Richard Gasquet arrived in Washington, where he won his opening two matches against Dudi Sela And Tim Smyczek before coming up against Pospisil in his semi-final match. While he was facing an opponent who had completed his quarter-final match earlier that day, he was unable to secure the victory in the end. Gasquet took the opening set in a tiebreak before dropping the next two sets 6-3,7-5. He squandered a 3-0 lead in the final set and was eventually broken in his final service game. And now, in a surprising twist of fate that can only occur in tennis, he will have to face the Canadian all over again in his next match on the tour. Before stepping on court for his first ever ATP World Tour Final, Pospisil met his upcoming opponent in a match that proved he has overcome the string of injuries that have plagued him over the first half of the season. After losing the opening set to Gasquet, Pospisil recovered to win the second set 6-3. Considering he closed out a three set match with Santiago Giraldo earlier that day, it was amazing that the Canadian was able to recover from a 0-3 deficit in the final set and survive the pressure of serving from behind to close out the match over the sixth seed. This marks the third time these two competitors will meet on the professional tour, and the second time in as many weeks. 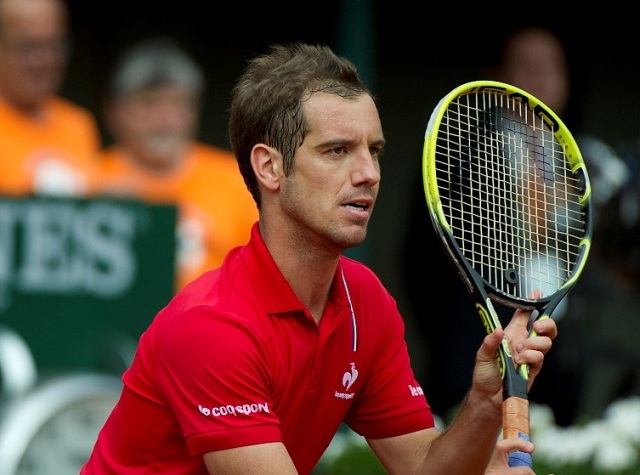 Although he has been close on multiple occasions, Gasquet is yet to figure out a way to beat his Canadian adversary. While he is more than capable of pulling off the upset, he will have his work cut out for him against a motivated Pospisil on home soil. This will likely be another thrilling three-set encounter.